You don't have to leverage your 401(k) to help pay for your child’s college education. All it takes is a little planning. These days, it&apos;s probably a toss-up who&apos;s more nervous about college: you or your child. Graduates leave school with an average of $26,600 in debt — but you don&apos;t have to leverage your 401(k) if you want to contribute. All it takes is a little planning and help from your teen to cut costs and minimize loan payments. Assess your retirement savings. Invest in yourself first: Start putting money into a 401(k) or Roth IRA before contributing to your child&apos;s college bills. "You can&apos;t take out a loan for your retirement," says Carol Stack, coauthor of The Financial Aid Handbook. "And you don&apos;t want to end up relying on your kids to support you." Use an online calculator like the one at troweprice.com/ric to find out how much you should be setting aside each month. By keeping your savings goals on track, you may have more leeway to fund your child&apos;s education. Discuss your contribution. It's not easy to talk about finances with your children, says Stack, but if your teen is counting on you to help pay for school, she has to know whether and how much you plan to give each year. You can get an estimate of what a school might expect you to contribute by filling out the FAFSA4caster, a free, anonymous financial aid calculator at studentaid.ed.gov/fafsa/estimate. Have "the other talk." Choosing a university requires thought and planning. Most teens don't decide on their top colleges until junior or senior year of high school, says Scott Weingold, cofounder of College Planning Networking. Even then, many make choices based on where their friends are going. "Starting at the beginning of their sophomore year, talk to them about what their strengths and interests are and what they like to do," he says. "College is obnoxiously expensive enough — now add on that it's not uncommon for kids to take up to six years to graduate." So get them thinking in advance about schools, majors and potential careers. Start early. Even if your teen is years away from college, she should apply for scholarships. "You'd be surprised how many there are for elementary school students," says Mark Kantrowitz, publisher of FinAid.org. Some examples are spelling, art and writing awards — not to mention a seriously lucrative $25,000 Jif prize for the most creative peanut butter sandwich. Find a list of possibilities at finaid.org/age13. Some school assignments (like a science fair project or an essay) can even qualify. Rule #1: Fill out the entire profile. Scholarship "matching" sites find awards for teens by asking them to complete detailed questionnaires about themselves. Answering all the questions, including the optional ones, says Kantrowitz, will yield more results. Rule #2: Apply for (almost) everything. If a student isn't eligible for a scholarship — let's say, she just barely missed the GPA requirement — then she can skip it. Otherwise, your teen should pursue all potential matches, says Kantrowitz. "Many applications are essays that require personal statements. The first half dozen or so will be labor intensive, but after that kids can start recycling answers," he says. Teens should set up a Google Calendar with due dates for all scholarships and make sure they're aware of how much time they'll need to complete the paperwork. Rule #3: Beware of scams. The biggest red flag is being asked for an application or processing fee. "Legitimate providers want to give you money, not take it from you," says Kantrowitz. "Never invest more than a postage stamp.? Also be wary of sites that ask for personal information, like a bank account or Social Security number. Encourage community service. Schools aren't the only organizations that value teens who volunteer. "It looks good to many scholarship providers too," says Lauren Segal, CEO of Scholarship America. "And it can be the tipping point for winning." Keep in mind that colleges like to see a history of service — not just a few stints started in junior year. Go door to door. If they've exhausted paper and online searches, students can visit local organizations like the Rotary club, church groups and nearby businesses to ask about scholarships. 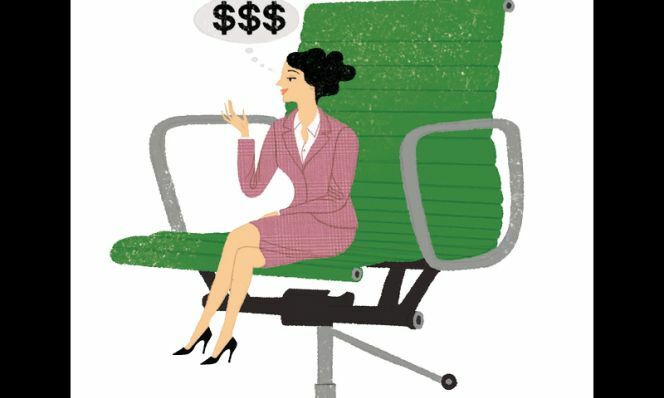 You and your spouse should also check with your human resources departments: "I'm amazed at how many companies offer grants to the children of employees," Segal says. Keep your teen's Facebook account appropriate. According to a new report, about one in four scholarship providers check their finalists' online profiles. "Companies want to find students who reflect well on them," says Kantrowitz. "They search for inappropriate behavior and offensive language, and even look at students' natural writing style to see whether their parents probably wrote the essay for them." Target a range of colleges. Include a few options that won't leave your family or child with too much debt. "You don't want your teen to fall in love with a school he can't afford," says Stack, who points out that the number of students defaulting on their loans within two years after graduation is now 9.1%. (One reason: It's becoming harder for current graduates to find jobs.) But you don't necessarily have to rule out all private schools, which may have more money to offer than state ones, says Weingold. "Some colleges have generous aid-giving policies, so you never know what you'll get until you apply," he says. To estimate how much tuition and living expenses will come to — and to get an idea of how much assistance your family may receive — visit each college's website and look for the "net price calculator"; all U.S. schools are now required to post one. Barter for a better financial aid package. 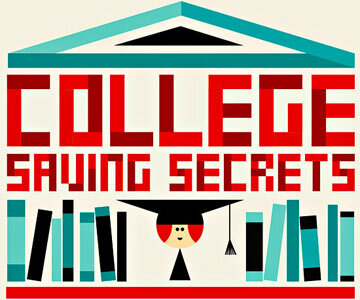 You don't have to accept a college's first offer, says Weingold. Call the school's financial aid office and explain why your family still can't afford the expenses. If your teen has received a better package from another university, write an appeal letter, including the offer, to her first-choice school, which may match it. Cap your borrowing. Ideally, your child's student debt shouldn't be higher than her yearly starting salary, says Stack. The average income for college graduates is about $42,000 and varies depending on career; visit naceweb.org to see a range of salaries. Another strategy: Keep debt below $31,000, which is the maximum you can borrow over a four-year-period through federal Stafford loans. Unlike private loans, government ones have fixed interest rates and more safety nets, plus they offer some income-based repayment plans and loan forgiveness. Originally published in the March 2013 issue of Family Circle magazine.